Handmade cider vinegar of superior quality. Handmade cider vinegar of superior quality. It was made in oak barrels and its singular aroma is obtained thanks to a slow maceration. Her dress is caramel apricot. In the mouth, it turns out to be sweeter than wine vinegar with a more fruity. Moreover, this vinegar has long been appreciated for its medicinal virtues hence its name elixir of youth. 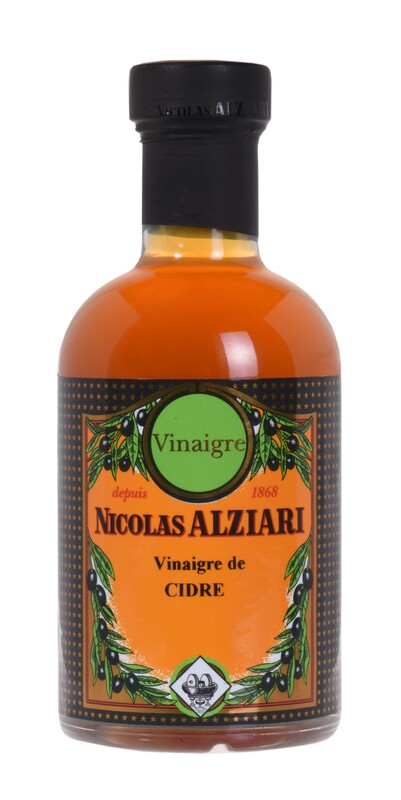 This cider vinegar combines with many ingredients. It can be used simply in seasoning a salad, to deglaze the meats or in the design of more complex dishes. The container is a fine round glass bottle and its rocker cap reveals the authenticity of the product.